the sky is our zenith. I salute the management. Prime Montessori School is a model and a pacesetter. Don’t be told, visit us and you’ll be convinced that there is not better place for your child’s solid foundation education. This is awesome. OMG am so honoured 2 b associated with PMS. God bless PMS. 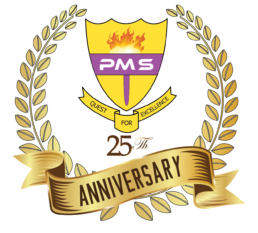 PMS, MY GREAT ALMA MATER. YOU ARE WONDERFUL & ENDOWED WITH INTELLIGENT & DEDICATED TEACHERS. YOU PROVIDED A GOOD FOUNDATION FOR ME. NO WONDER, I WAS ABLE TO MAKE AIRFORCE SCHOOL FROM MY GRADE FIVE. EVEN HERE IN AFCS IBADAN, I AM STILL EXCELLING. GOD BLESS MRS AGU, MR AFENUVOR, MR ISAAC IZANG, MR UDOH, MR JAMES OLATAYO AND THE ENTIRE PMS STAFF. YOU TAUGHT ME WELL.